We carry all major garage door manufacturers, including Martin Garage Door and Genie products, specially designed to give you safe and secure access to your garage and home. 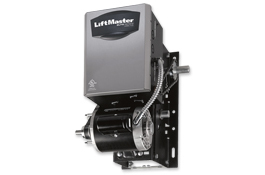 We provide our clients with a super-quiet DC motor with belt drive, which comes with a lifetime warranty, as well as entry-level chain drive openers with a six-year warranty. Check out the openers and their features below to determine which one is right for you. Martin's ultra-quiet belt drive openers use a powerful DC motor, which drives a steel reinforced belt. In conjunction with your new garage door, this system's smooth, quiet and safe operation is unmatched by any other manufacturer. 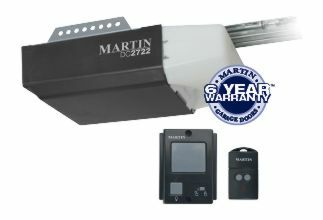 Martin's garage door openers are both CE and UL-listed. Operated by a quiet DC motor. The DC motor has a soft start and soft stop, which is more gentle on your garage door. This helps to increase the longevity of your garage door and your garage door opener. Includes safety reversal photo eye system. Martin's high-quality photo eyes will identify any obstructions in the path of the door and immediately stop operation until the obstructions have been cleared. 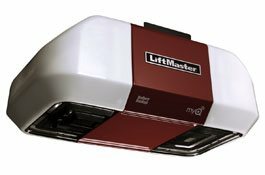 Value - The feature-rich, reliable, lighted door openers are designed to perform, built to last and guaranteed to provide years of smooth, trouble-free operation. Reliability - The DC power technology not only enhances garage door opener safety but also the performance and longevity of your garage door opener, your garage door, your springs, track, and rollers. Security - Remote controls and wireless keyless entry systems operate on a security code technology that allows for billions of different code combinations. Quietness - Smooth quiet operation void of transmitted vibration making it a peaceful living condition for your family. 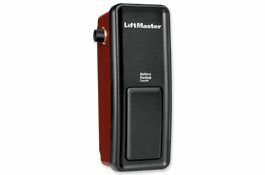 Safety - The Garage Opener Digital Intelligence system constantly monitors the force level necessary to safely open and close your garage door. Model MJ is a Medium Duty Logic jackshaft operator. It features a compact design, an adjustable friction clutch, a standard solenoid brake, and a high-starting torque motor. 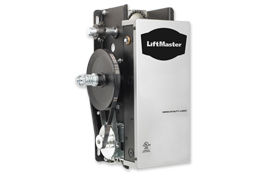 Model MT is a Medium-Duty Logic trolley operator for standard lift sectional doors. 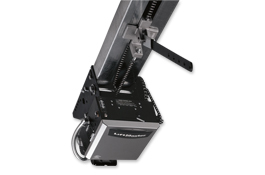 It features a high-starting torque motor, a compact design, quickest-gliding rail spacers and a quick-mount swivel header bracket. 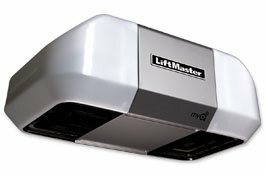 Garage door opener buying guide. Knowing what features you want or power requirements to operate your garage door can be somewhat overwhelming. 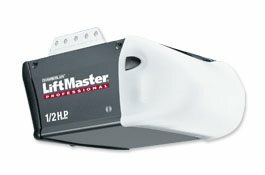 So whether you are looking at Genie or LiftMaster lets break it down. The belt-drive system is the quietest drive type because its operation is the smoothest. The steel-belt is made to last and is strong enough to lift the heaviest garage doors. It's the perfect choice for replacing a noisy opener or the satisfaction of buying quality with a new garage door. The chain-drive system uses a metal chain to lift the door. Chain drive systems are cheaper and most common, but they are inherently noisier, however, they continue to be very popular. Just like there close cousin the belt-drive they are designed to lift even the heaviest carriage house garage doors. They are rugged, reliable, and deliver when called upon. 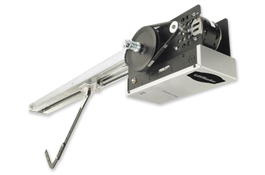 The screw-drive system uses a threaded steel rod to lift the door. The lifting force of these openers is superior and reliable, giving you years of operation. They requiring very little maintenance which is a definite plus. The direct-drive mounts to the garage door shaft off to the side and operates much quieter than other openers; it is simply beautiful. Usually, direct-drive units are used for low ceilings or obstructions but I see this technology being used in any situation. Shop now for your garage door opener remotes for all brands at low prices. If you can't find what you are looking for please come by we have a huge inventory of garage door remotes. Buy your next transmitter, clicker, remote, keypad, battery or parts from us; we will have it in stock for you. Having problems finding a replacement remote, we carry universal remotes that will work. Genie, Chamberlain, LiftMaster or Linear is just a few brands we carry give us a call to get started. How do I reprogram a hand-held garage door remote? You may need to change or reprogram your remote at some point. Some remotes have code switches and others use a programming connector. Every model will be slightly different but here are a few videos showing you how to change out a battery or change the code on a Martin opener. Here are a few helpful links to other reprogramming guides.